Brian Acton – one of the co-founders of the popular messaging app WhatsApp – resigned from Facebook in 2017. And with that, he left $850 million on the table in the form of non-vested stock options. He stood against the changes Facebook’s management was trying to bring to WhatsApp, and paid the price, literally. Since its inception in 2009, WhatsApp never wanted to show its users any ads. 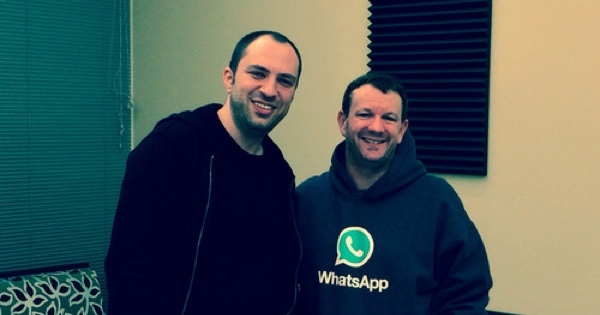 Both Acton and Jan Koum – the other co-founder of WhatsApp – hated the idea of earning money that way. Their motto at the company was “No ads, no games, no gimmicks”. In 2014, Facebook acquired WhatsApp at a massive sum of $22 billion. Acton said, at that moment, he wasn’t aware that the social network already has plans and tech to blend data across platforms and eventually generate ad revenue. He added that Facebook CEO Mark Zuckerberg was supportive of implementing end-to-end encryption for chats – even if it blocked paths by which to harvest user data. Within 18 months of acquisition, Facebook changed WhatsApp’s terms of service to allow data sharing between platforms. The company paid a $122 million fine to the European Commission for misleading it over its WhatsApp merger. Acton learned later that Facebook had several methods up its sleeve to share data between platforms. One was to bridge Facebook and WhatsApp accounts with a 128-bit string that denotes the phone number of a user. Another was to match phone numbers across platforms to connect two accounts. Last year, Facebook started to explore more ways to earn money from WhatsApp. One way was to show ads in its Instagram-Stories-inspired Status feature, and the other was to sell analytics and business tools to people. Acton suggested an alternative way to bring moolah to the company. He proposed charging users a nominal fee after they send/receive a certain number of messages, but Facebook’s management shot him down. The WhatsApp co-founders had a clause in their contract that allowed them to clear out all their stocks if Facebook ever implemented monetization methods in the chat app without their consent. But Acton never invoked that clause: He simply walked away. His last tweet from March 21 says, “It is time. #deletefacebook”. Meanwhile, Facebook’s former Chief Security Officer Alex Stamos defended the company’s decision to show ads on WhatsApp. He said that it is necessary to generate revenue for apps using end-to-end encryption. All eyes will be on Facebook now to see how the social network generates revenue from one of the most popular messaging services on the planet. Acton’s full profile is out now on Forbes, and it’s well worth a read.